My grandfather was a big fan of Detective Colonel Vinod of Vinod Series by Ibn-e-Safi (pen name of Asrar Ahmed). And my father and his siblings would compete with each other to be the first to lay their hands on those thrillers, that arrived every month by post. 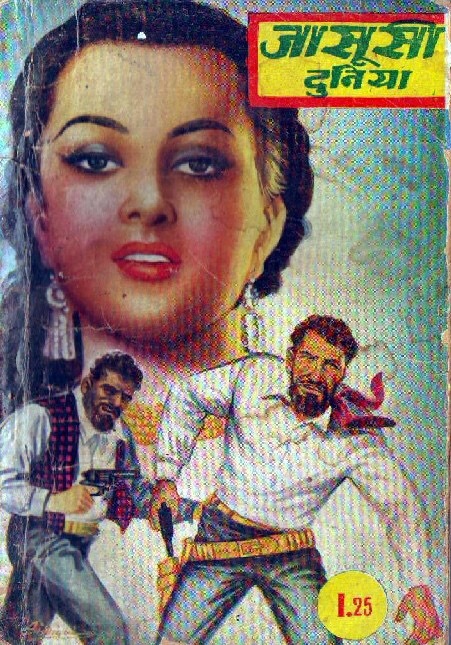 Colonel Vinod (Faridi in original Urdu version), the main character of Jasoosi Duniya was huge at one point of time and almost as famous as James Bond or Sherlock Holmes. My grandparents, uncles, aunts, everyone loved him. For me it was different. I was born after Ibn-e-Safi’s death. As I grew up, titles of the books – ‘Tijori ka Geet’, ‘Khooni Pathar’, ‘Pahadon ki Malika’, ‘Baraf ke Bhoot’ – intrigued me. And the pictures on the covers were fascinating too. One day, when I was in my teens, I just picked it up from a big box of books and read it at one go. That was the beginning. I soon got addicted to them. Thankfully, my parents were not very strict about my reading those ‘kind of books’ because they knew that the series did not have sub standard or cheap material in it. Every member in the family could read it. However, they warned I may end up paying more attention to the thrillers rather than course books. But I managed to strike a balance. After Devkinandan Khatri in the 19th century, it was Ibn-e-safi who set the beat of detective novels in the second half of the 20th century in Indian subcontinent. His contributions to not only Urdu but Hindi literature was immense. The books were published in Bengali, Tamil and Telugu as well. 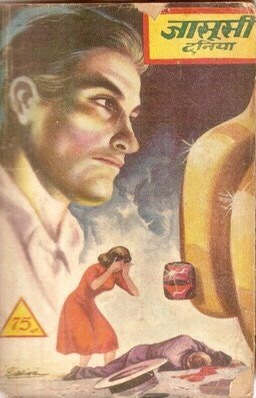 Wikipedia says about Jasoosi Duniya series – “Its first novel, Dilaer Mujrim was published in March 1952. In the following 27 years, Ibn-e-Safi wrote 127 books in the series with his last Jasoosi Dunya novel, Sehra’ee Deewana appearing in July 1979, a year before his death.” He was from India but migrated to Pakistan in 1947, post independence. 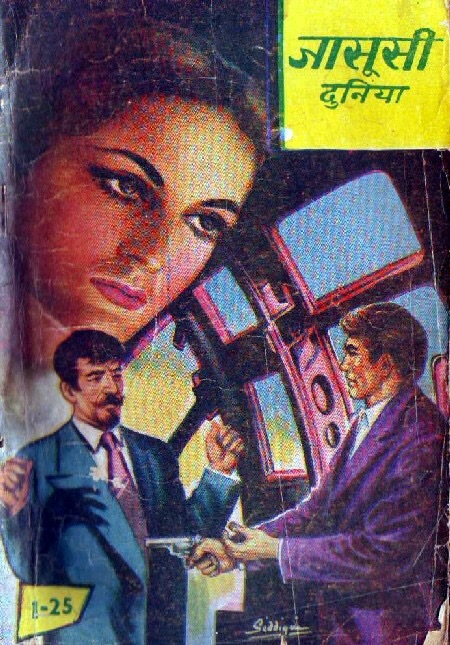 It is said that some Safi’s books have been inspired by English novels but the much-loved characters, Vinod and Rajesh (Faridi and Imran in original Urdu version) are his own creations. My favourites were Colonel Vinod and his feisty aide Captain Hamid (akin to Dr Watson). As I read him more and more, I felt Ibn-e-Safi was well informed about the political situations in the world. He wove a glamourous and dangerous world in 1960s India that enchanted readers. I think Colonel Vinod was very much like Howard Roark of Ayn Rand’s ‘The Fountainhead’. Both of them had super integrity, both were brilliant at their jobs but appeared to be rather heartless (Colonel Vinod was nicknamed Father Hardstone by his friend Hamid). Both had lofty ideals. Infact, it was said that Ibn-e-Safi wrote very carefully about Vinod as people sort of worshipped him and would not tolerate anything untoward related to him. 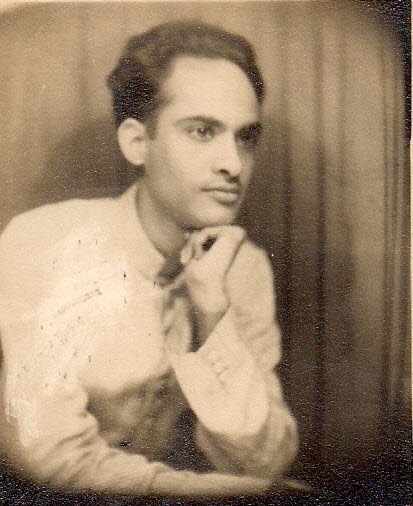 Ibn-e-safi’s other lead character Rajesh (Imran in the Urdu version) was equally popular. A fool by the day and secret service chief by night, Rajesh’s unpredictability always left me in splits. It should also be known that Safi’s works were widely plagiarised by writers who enjoyed limited fame but could not match his popularity. His books were often sold at black market prices in and around India. 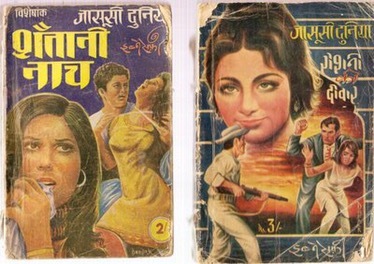 A big reason for the charm of the novels were the minor and comic characters Qasim, Black Force, gilehri jaan ( in Vinod series) as well as servant Bholu, Jolly, Madan (in Rajesh series). The master storyteller had the knack of drawing readers into the world of ensnaring beauties, night clubs, fancy locations, Lincolns, Tommy guns, poisonous needles and lethal enemies. Back in India, I always wondered about Lincoln – Colonel Vinod’s car and excitedly called up my father when I saw one in the US. The Hindi version of – Jasoosi Duniya series are hard to find in today’s world of Ebooks and downloads. I yearn for the crispy touch, musty smell and excitement that preceded reading the thrillers. It was heaven to read it in a quiet corner of my house, munching guavas and wondering what was going to happen next. Gone are the days but who knows…I might still find my younger self somewhere inside one of those nail-biting books…! 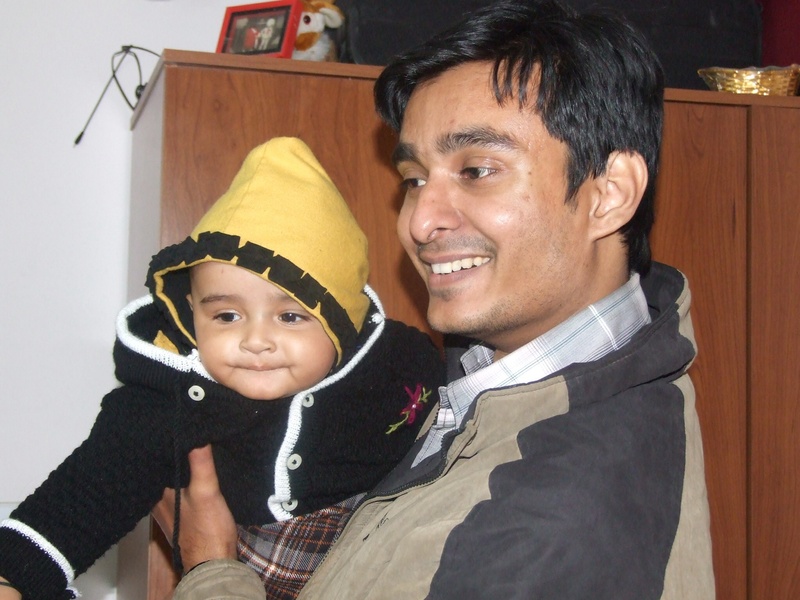 I was in college at the time I became an eyewitness to a brutal murder in Patna, Bihar (India). It happened late in the afternoon on a hot July day. I was standing in the balcony, comparing notes with two of my friends in our privately owned hostel. Down, the busy street was bustling with life. Nobody knew, it was soon to go deathly quiet. We were in the middle of a conversation when I saw a man running like a mad person. He looked poor and distraught. But my inexperienced eyes led me to think differently. I watched him being hounded by two men on a bike, and thought they were having some kind of youthful fun. One of them was wearing a green shirt and black pant and he had a gun pointed at the poor man, who was trying to flee. I thought it was a toy gun and looked on with interest. The men on bike laughed uncontrollably. Next moment, the young man in green shirt, fired incessantly at the poor man. With disbelief in his eyes, the poor looking man fell bathed in blood. My dream reverie broke with jolt. Like an idiot, I had comprehended very late that I had been witnessing a murder. My two friends rushed down the stairs to escape and one of them fell down the stairs hurting herself badly. 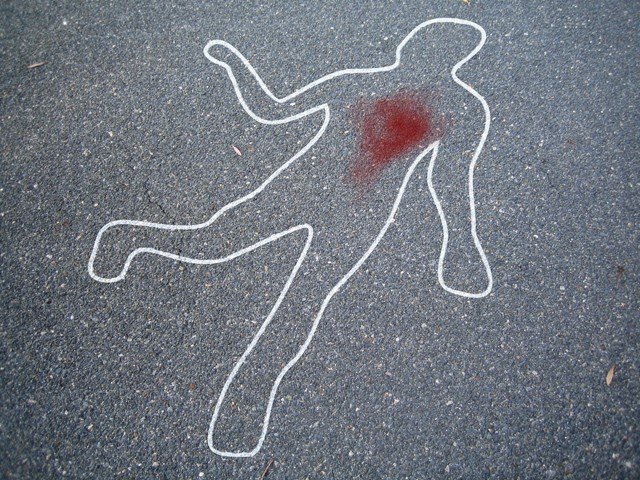 Before I could respond in any way, the murderers laughed heartily before leaving the spot in their shining bike. 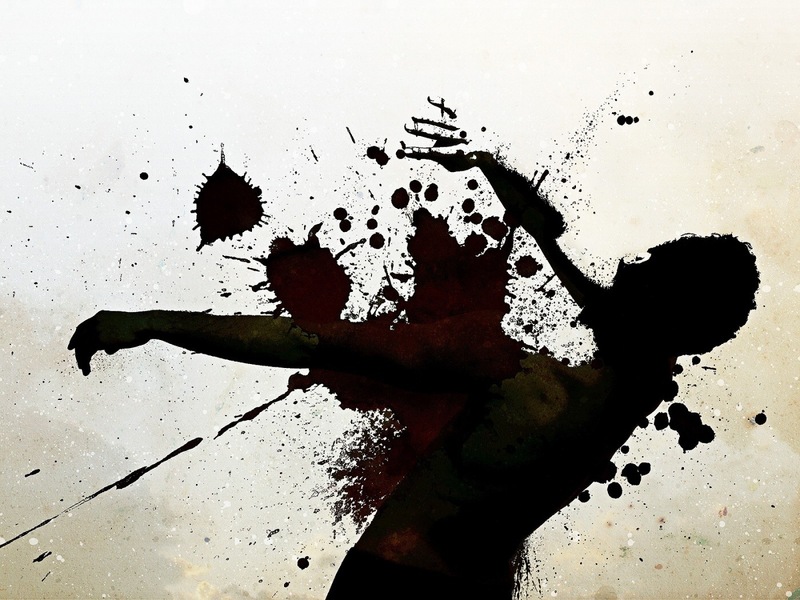 No one touched the poor man as he bled to death. We were locked inside the hostel and the street went deathly quiet within seconds. Not a soul came to help out the man or even offer a kind hand. It was heart breaking…heart wrenching…horrible, to say the least! I had never felt so much ashamed of myself as I helplessly watched him dying on the street from balcony. After a few moments, a brave lady ( I still don’t know whether she knew him or not) coerced a rickshaw puller to put the body on his rickshaw. Together, they lifted him on the rickshaw and perhaps carried him to a hospital. The police came, ostensibly questioned a few people and left. We students were distraught and a few of us cried for hours ( I am sure my friends will relate to this, when they read this). I remember not sleeping for days. But I consoled myself with the cowardly argument that we were locked from inside, so we couldn’t have possibly done anything. Later, we learned that it was a case of road rage. The man was a servant somewhere and he had chastened the young men on bike, when they had shown agression on road. This speaking out against injustice had cost him his life. I thought about his dependants and felt worst. We also learned that although there were more than 100 witnesses to this murder, the politically strong murderers remained free men. Soon, life went on as usual and the street bustled with life again. 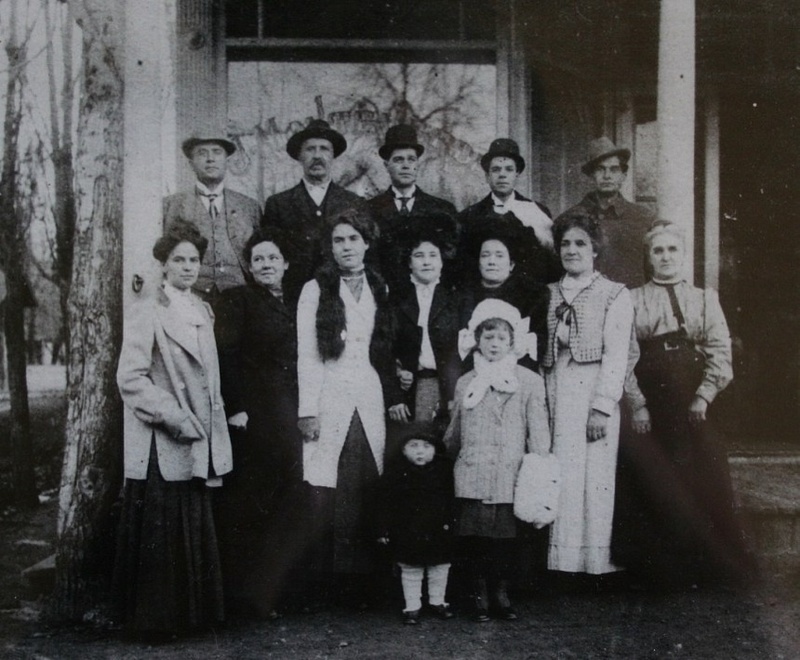 All common people including us, comfortably forgot about the murder, and tried to erase the tragedy from our minds as it was safer to be mum in those days. Those were RJD days in Patna, with supremo Lalu Prasa Yadav at the helm. Everyone lived in constant fear as hooligans crawled the streets. Justice was a joke at the time. We never felt safe in those days as crime against women was rampant. The poor man never got justice, and as witnesses we were all partakers to the crime. I had tried to erase the image of his writhing blood stained body from my mind but it keeps coming back. The image came back to haunt me again after the Bihar elections. Soon after her marriage, when my sister was visiting us, I had a conversation with her on the topic of vegetarianism. Her name is Lulu and she calls me Baigani (our nicknames for each other). She had turned vegetarian at an early age and went back to non vegetarian foods soon after her marriage (Hubby’s influence, huh). At 10, I left vegetarian food and I am still a vegetarian. I did eat eggs in between as I was not sure whether eggs should be strictly considered vegetarian. I remember that talk perfectly. I have this special knack of recalling conversations vividly and I just love to debate, correct, counter and irritate someone. I am called Mr Precise by our family because I hate any kind of exaggeration. Little wonder then that I write my age in years, months, days, minutes and seconds (lol…I am kidding!). Lulu: Wake up you sloth! Lulu: Then be ready to take a nice cold bath right now on the bed. Me: Oh wait… What’s the matter? Why are you waking me up so early? You are really irritating. I thought we have got rid of you after marriage…but you came back so soon to drive us nuts. Lulu: I have especially come back to bug you. Seriously, get up. Exercise, eat eggs. I have also brought frozen kebabs, try it in lunch. Then you can have mutton for dinner. I want to see you strong and active Baigani. For that you need to eat non vegetarian food. Lulu: Why don’t you give up eating leaves and plants, they are not half as wonderful as non veg! I am trying all that now. I want you to try it too. Ok…tell me why did you leave eating non-veg Swamiji? Me: I don’t say that. Poor people in Africa, Asia and in other parts of the world whose livelihood depends on them should and must eat. We cannot force poor fishermen to quit eating fish. Their children need proteins to survive. Half the world’s stunted children are born in India. It is because they do not get nutritious food during their childhood. Also the people who are not educated must not be forced to take up vegetarianism. The decision to become vegetarian should come from within. But the rich and educated should definitely curb their desire. I cannot just believe how you all can eat after killing animals just for the sake of taste. Don’t you feel for a life? Is this human? Is this the true growth of our civilization? Think on it Lulu. Just pause for 30 seconds. Think of it from your heart and not from your “tongue”. Lulu: How you love to argue and debate! Ahh…I am just remembering those tasty kebabs now…I want to be evil! Lulu: Well…I agree with you to some extent.. Baigani. But you have half baked knowledge. Doesn’t a plant have life? You eat them happily without any sorrow. Just because they are immobile…it doesn’t make them lifeless. Do you know curd is full of bacteria? Take a microscope and see it. You take so many lives in your daily routine, Mr. You kill mosquitoes, ants and do not feel guilty. Does their small size and short lifespan make their life less precious? Me: I knew, you will bring up all these arguments. I really do not have answers to it. I only feel that eating corpses of animals doesn’t seem right to me. Lulu: Haha…you speak so strongly. The imagery of eating dead corpse is so revolting. Dear brother, become a baba ji and go to a higher philosophical level, then give me a proper reason as to why I should be a vegetarian. Me: Unfortunately, I am not at that level, Sis! And at my current level of spiritual/philosophical advancement, eating animals for the sake of sensory pleasure is nothing short of a criminal offence. And I do not wish to be a party to such offence. Just because a species called Homo Sapiens have evolved and became intelligent doesn’t give them the authority to kill and rule over others. Lulu: Aha…Baigani and his arguments. You have your own sense of right and wrong kid. It’s good…keep faith in your own beliefs and I will keep in my own. You must be aware that Swami Vivekanand also enjoyed eating non veg. Lulu: I will not speak to you, you are a nut case…philosophical fool. Go to hell! Well, we did not talk to each other for a full day and a half. But I had a favour to ask from Lulu so I was the first to break the ice. Since then we have not brought up this topic of vegetarianism. She is happily into non veg foods, and I am a blissful vegetarian. I am writing this guest blog to infuriate her a bit and with the hope that she might consider giving up her sins…lol…! Most people hate to wait in a car, while others are shopping. But I simply love it. It usually has calming effect on me. I feel happy when I sit peacefully and watch people and things around me while being completely hidden from view. The panorama of life…the curious human behaviour is totally enchanting. And you never know, when you get lucky enough to encounter a great story-in-the-making. Unobserved through a car window, I have seen many such wonderful finished and unfinished stories in India, and now in the US. The other day, I happened to encounter something akin to a crime thriller. Now I would like to add that not one word here is fiction. Few weeks back, we went to Mac Donald’s. It was a little cold so I preferred staying in the car with my baby while my husband and toddler went ahead to order a take- away. The onset of Spring in Minneapolis is very scenic …the changing colours of the sky the whitish-green hue of the Earth presented a beautiful picture. I started singing an old song to myself while my baby slept on. It was then that I saw him. He was a young man of about twenty five years of age. He got out of a maroon van that was parked horizontally across ours in the parking lot. He seemed quite charming and walked with a swagger. But I felt something was not right, when I noticed him picking up half burnt cigarettes from bins. He would ensure that no one was looking and stealthily pick another. He entered the Mac Donald’s. Meanwhile, I looked at his car. There was no number plate. I also noticed that there was someone else driving that car, he looked like a bouncer at a night club. He was bald with an unpleasant demeanour. That man was looking around with bloodshot eyes. I hid myself. Meanwhile, the young man returned to the van. The next moment, I saw a green car zooming towards the van. It parked next to it. The young man got down and entered the other car and closed the door. It seemed that they were doing some dealings. My husband returned. And I managed the last glimpse of the suspicious man returning to his car after…perhaps…closing the deal. Both the cars left and I kept wondering…was he some drug-dealer or a criminal? Or was he just a regular guy and I was seeing too much into it? Maybe they were all friends out for fun. But why wasn’t there any number plate on the car? So, my story remained unfinished and I was left guessing.